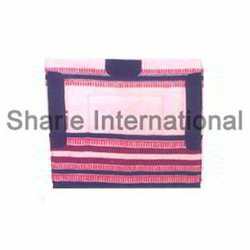 In order to meet the variegated demands of the clients, we bring forward for them a precision designed array of hand made Saddle Blankets. Making use of finest grade raw material, these are esthetically developed by our artisans in unique designs and color combinations as per the changing trends of the market. 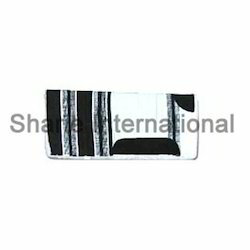 Stylish as well as simple, these blankets are widely appreciated for their intricate designs, fine stitching, wrinkle free texture, colorfastness and durable finish. 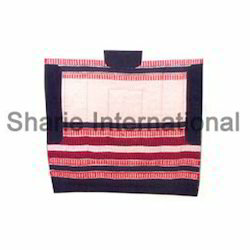 Wool Saddle Pad offeredcan be made available by us in a wide range of finish options and come with woolen pad with namda inside. Made available in size options of 32" x 32", these western saddle pads provide for right fitting of the saddle as well as provide for suitable protection to horses back from pressure points that are created by tack. Some of its features include help minimize saddle slippage as a resultant of sweat on horse's back; reliable saddle pad styles; pads developed using quality materials for superior and comfortable usage; pads trusted by many horse enthusiasts from around the world. Packaging Details: We will pack in polythene then it will pack in cardboard cartons. 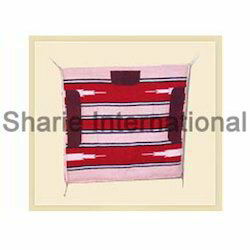 Wool Saddle Blanket offeredcome in quality construction finish and feature western woolen sand-witch diamond pad and come in size of 30" X 32". 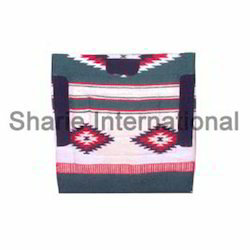 Made available in different color options, these saddle blankets come in well-crafted finish as well as bear top quality so as to provide for durable usage. 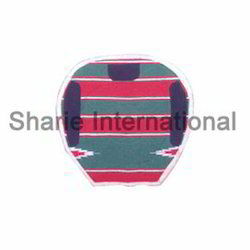 Some of its features include provides suitable protection to horse from saddle; supports optimum absorption and distribution of pressure generated from seated rider; help in keeping saddle clean and dry by absorbing moisture; protects horse's hooves from overreaching injuries as a resultant from bell boots; superb fit that reduces spinning. Acrylic Pad Blanket offeredcomprises pads with fur lining inside felt and are made available in size options of 30" X 32". Made available in different color choices, these pad blankets come rightly sized to fit the horse. Further, these blankets come with soft fleece underside which makes these comfortable to use options. 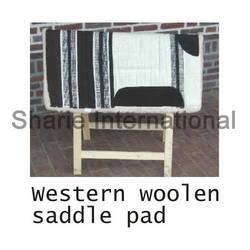 Some of its features include perfect pad to fit all western riding activities; single layer blanket finish; supports removing of moisture; quality craftsmanship standards; use of durable blend of cotton and acrylic for lasting usage; comes in a variety of colors; edges coming finely finished to ensure no roll-over of seam. 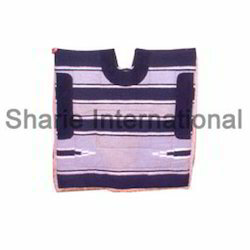 Western Wool Saddle Blanket offeredcomprise quality finished acrylic western saddles pad with neck cut and are made available in size options of 30" X 32". Made available in multiple color choices, these saddle blankets feature top quality saddle pads and provide for lasting service usage. Some of its features include among the trusted choice of horse enthusiasts; soft rolled upper collar for eliminating irritation possibility; use of superior copolymer compound that is rip and tear resistant; provides for secure fit; easy to maintain with rinse and wipe clean usage. Looking for Saddle Blankets ?